Why not grab a go-cup and take a haunted stroll? Muriel’s Restaurant – After losing this house in a poker game, Pierre Antoine Lepardi Jourdan committed suicide upstairs in 1814. His ghost doesn&apos;t appear human, but as a glimmer of sparkly light. Faulkner House Books – William Faulkner wrote his first novel while staying in this house in the 1920s. People swear they’ve seen his ghost sitting at the writing desk inside and say you can smell his pipe. 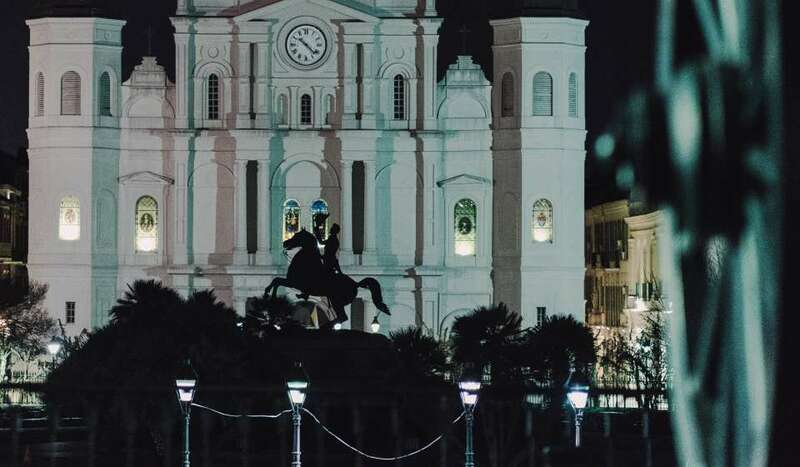 St. Louis Cathedral – St. Louis Cathedral is believed to be haunted by Pere Dagobert, pastor of St. Louis Cathedral in the mid-1700s. After worship, people have seen Dagobert’s spirit walking with his head lowered through the aisles. Others claim to have even seen the ghost of Madame LaLaurie in the Cathedral. She worshiped here in the early 1800s (see below). If anyone needs to go to church, it’s her. Pere Antoine’s Alley (Jackson Square) – Pere Antoine was a beloved priest who worked tirelessly for the poor. 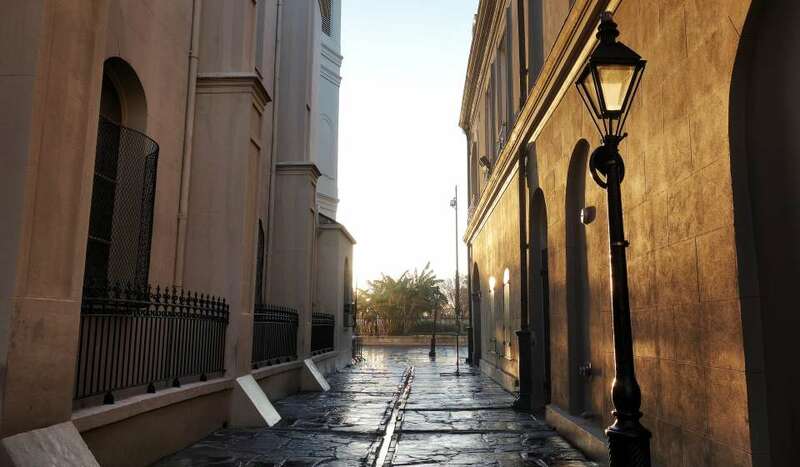 Visitors to the alley that runs alongside St. Louis Cathedral say you can see Pere Antoine’s ghost in the early morning hours, clad in Capuchin black and sandals. He’s also been seen inside the Cathedral. Le Petite Theatre du Vieux Carré – Here you might bump into an actress from the 1930s named Caroline who accidentally tumbled over the railing to her death in the courtyard below, dressed in a white wedding gown for the play that night. You might also run into the captain who watches plays from his balcony seat, hoping for a glimpse of an actress he was sweet on. Lafitte Guest House – A mirror outside Room 21 at the Lafitte Guest House is haunted by 5-year-old Marie, one of thousands of children from New Orleans who died during the yellow fever epidemic of 1853. Too upset to leave her baby, the ghost of her mother resides here as well. Jean Lafitte’s Blacksmith Shop – The privateer Jean Lafitte himself is said to keep an eye on the fireplace in his former Blacksmith Shop where it’s believed he hid his booty. 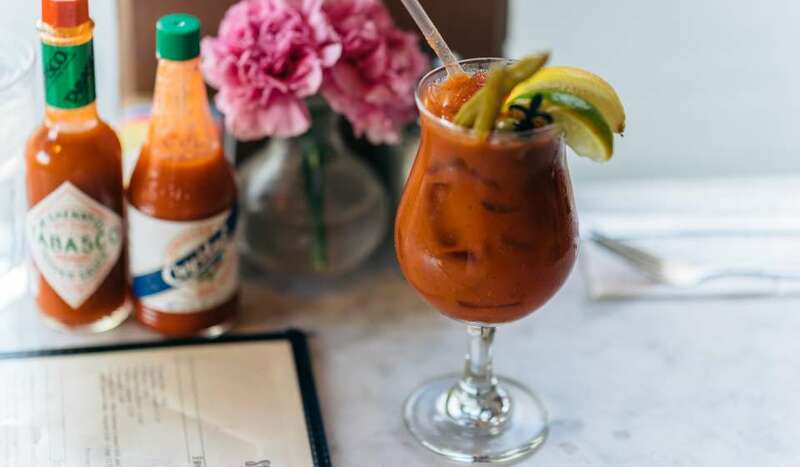 Café Lafitte in Exile – Café Lafitte in Exile is said to be haunted by playwright Tennessee Williams who can be seen in his usual seat at the far end of the bar. Author Truman Capote’s spirit also seeks conversation in the bar’s stairwell. Old Absinthe House – This 200-year-old bar is haunted by famous customers who used to party there. 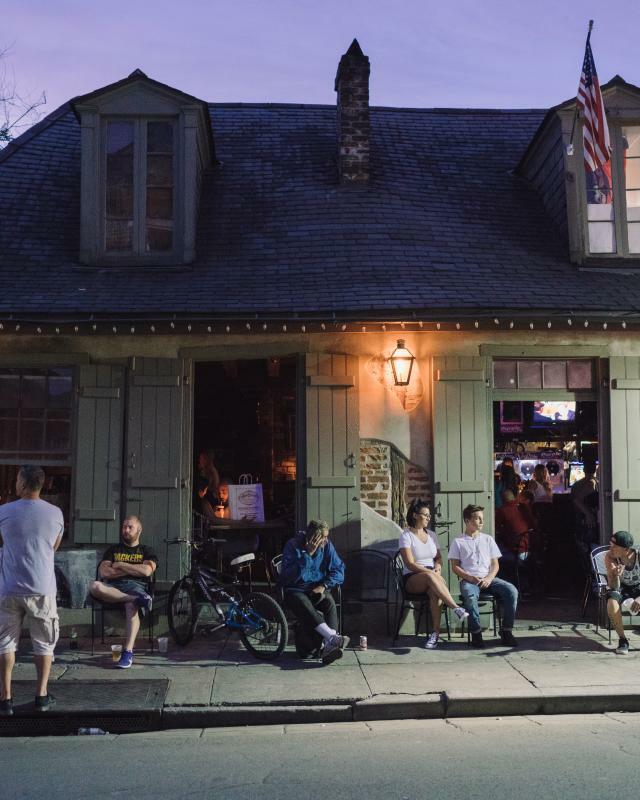 You might pull up a stool next to General Andrew Jackson, voodoo queen Marie Laveau or the pirate Jean Lafitte. Doors open and close on their own while bottles, glasses, and chairs have been seen moving around the bar. 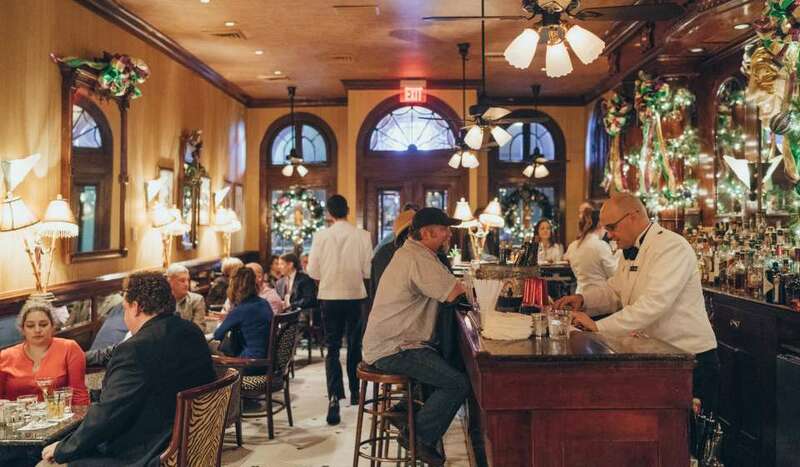 Antoine’s Restaurant – It’s said that Antoine Alciator, the founder of this famous family-owned restaurant, returns to check up on his ancestors. Other spirits in 19th century clothing peer from mirrors in the washrooms. 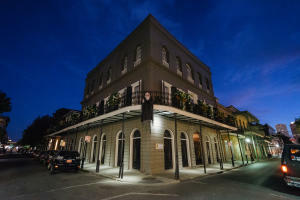 LaLaurie Mansion – In 1834, when a fire broke out in LaLaurie Mansion, firemen discovered dozens of slaves caged and chained to the wall in a secret attic where monstrous experiments were carried out by Madame LaLaurie. It’s whispered that her ghost and the spirits of a few unlucky servants still reside here. 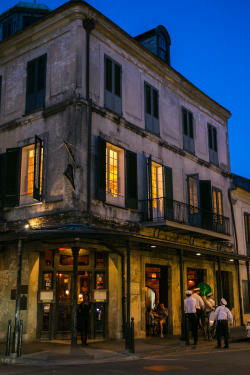 Napoleon House – The second floor of this building was an infirmary during the Civil War. As night approaches, a soldier in gray can be seen on the balcony. Ursuline Convent – In the 1700s, the Catholic Diocese sent young girls from the French convents to New Orleans to find husbands. They carried their belongings in coffin-shaped chests and became known as “the Casket Girls.” Some say the caskets really held vampires from the old country. Hotel Provincial – This building was once a hospital for Confederate soldiers. A security guard said he stepped off the elevator onto the second floor into a hospital scene from the past. Beaureguard-Keyes House – It’s been rumored that around 2 a.m. the ghosts of General P.T. Beauregard and his troops reenact the Battle of Shiloh in the hallway. 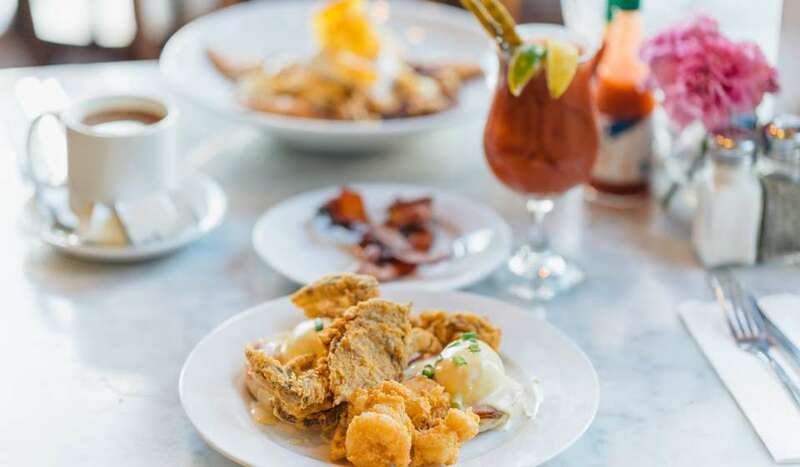 The Bourbon Orleans – The Bourbon Orleans was home to the famous Quadroon Balls. Today a lonely ghost can be seen dancing beneath a crystal chandelier. The hotel is also home to a ghost nun who slapped a man working on a stairwell for swearing. Hermann-Grima House – Built in 1831 for prosperous Creoles, this house is said to be alive with pleasant, friendly Southern ghosts who scatter scented rose and lavender around the rooms and light the fireplaces to make it cozy. Marie Laveau&apos;s House – Voodoo queen Marie Laveau lived on this site between 1839 and 1895. Her spirit is said to still conduct wild voodoo ceremonies here. Sultan’s Palace – The Gardette-LePretre House, also known as the Sultan’s Palace, was leased by a brother of the Turkish Sultan in the late 1790s. One stormy night, assassins brutally murdered everyone they found in the house. Ghostly forms have been seen there for many years. St. Louis Cemetery No. 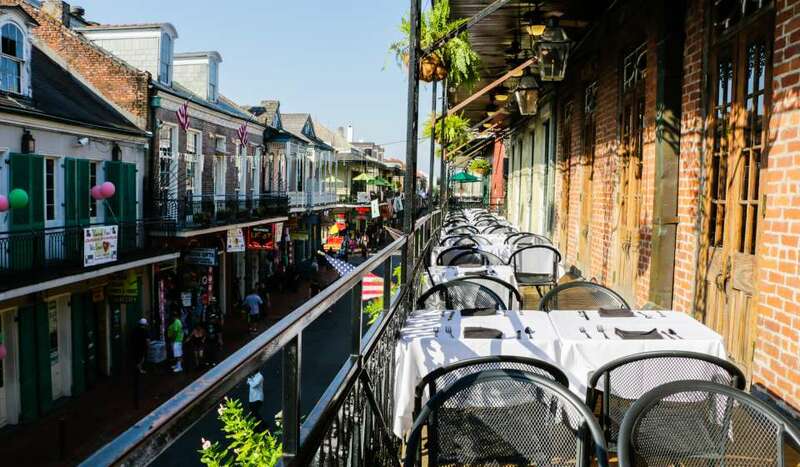 1 – They say this famous City of the Dead is haunted by hundreds of ghosts including that of voodoo queen Marie Laveau who has been seen both walking through the tombs here and at her house on St. Ann Street.